Kids who love Captain Underpants Books will love this board game we found (CHEAP) on Amazon! Hurry and get the University Games Captain Underpants Sign Changing Game today for $14.99 NOW only $6.27 from Amazon! Whoa! Save BIG! Check out all of the recent Amazon deals here! 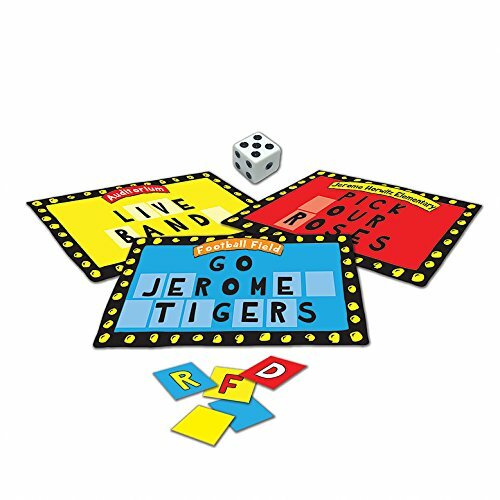 Based on the popular book series and highly-anticipated 2017 Dreamworks film comes a hilarious game of sign changing fun! Join George and Harold as they wreak havoc everywhere, pulling pranks and cracking jokes using every sign they can find. Rearrange words into side-splitting, ultimate prankster phrases and earn the most goodies from Principal Krupp’s confiscated items drawer. Buy the University Games Captain Underpants Sign Changing Game from Amazon.